Your self drive holiday begins in Windhoek. 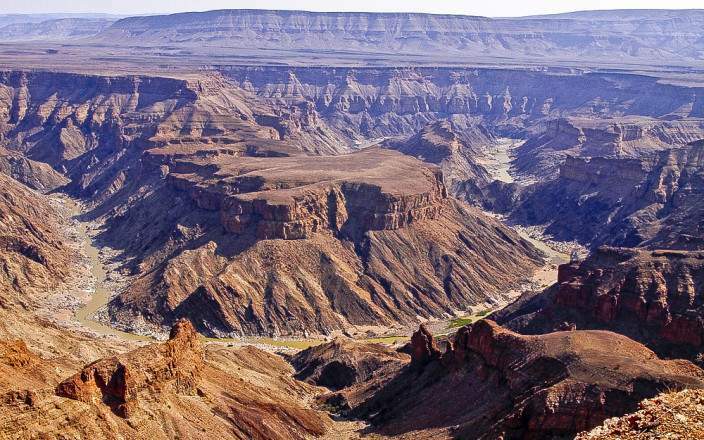 From here you drive to the Kalahari Desert and then you head south to the dramatic Fish River Canyon. 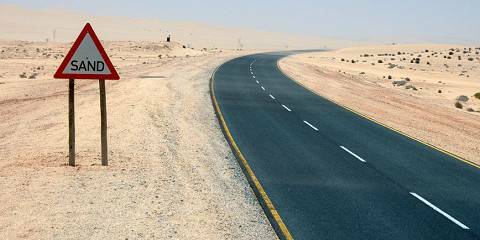 Next you visit the ghost town of Kolmanskop, before driving to Sossusvlei to see the iconic sand dunes. 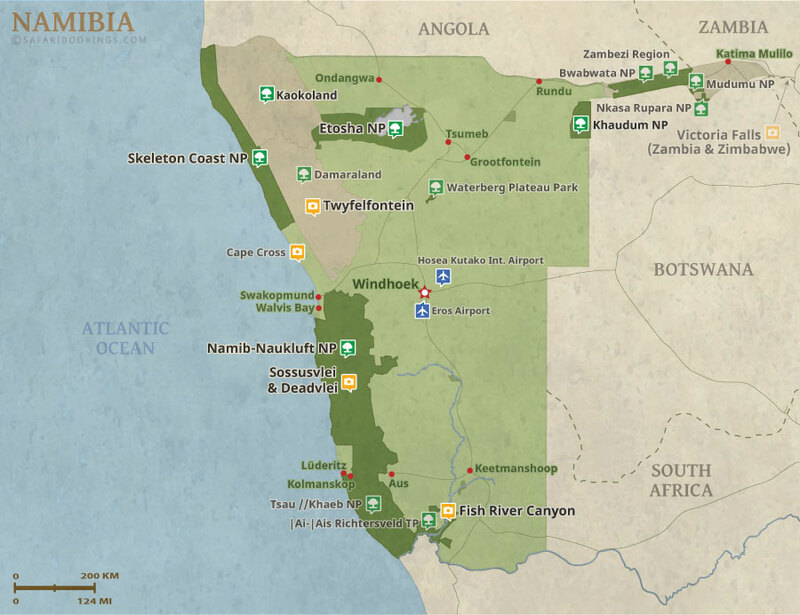 You then explore Swakopmund on the Skeleton Coast and search for desert-dwelling elephant in Damaraland. 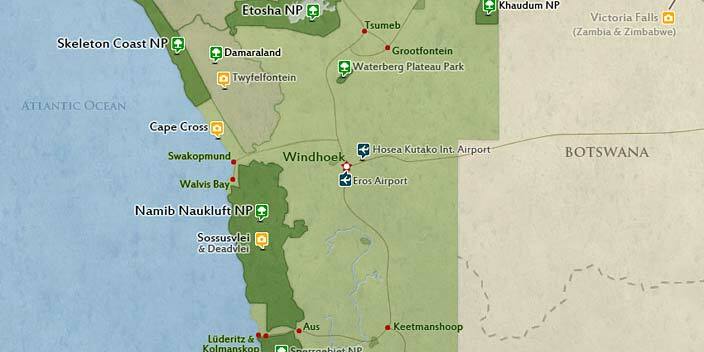 Next stop is Etosha Game Reserve. You spend the last two days in Okonjima getting up close and personal with big cats at the AfriCat Foundation.